Discover high definition, lightweight gel-color with ultra hydration that will accentuate those tender lips and care for them too with the Revlon Ultra HD Gel Lipsticks. Available in 15 high-definition shades, these lipsticks are formulated in a gel base and are ultra-moisturizing and gentle on the lips. For lips that standout and don't dry out, this wonder is a total must-have. Ultra hydrating formula with hyaluronic acid. Vibrant color pigments suspended in a clear gel base. Precision tip designed to sculpt lips for a seductive look. Creamy mango and whipped vanilla fragrance. Additional Information : A well known cosmetic brand, Revlon is a trendsetter in the world of Makeup, Skin care, Fragrance, and Personal care products. Loved by all beauty experts and makeup geeks, Revlon believes in providing innovative, trendsetting and high quality makeup products all at affordable prices to customers worldwide. Explore the entire range of Lipstick available on Nykaa. 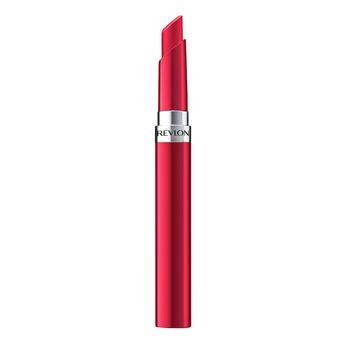 Shop more Revlon products here.You can browse through the complete world of Revlon Lipstick .Alternatively, you can also find many more products from the Revlon Ultra HD Gel Lipcolor range.